In PD17, it appears that the Date Created is not when the clip was imported into Windows, but actually when it was added to PD's media library. 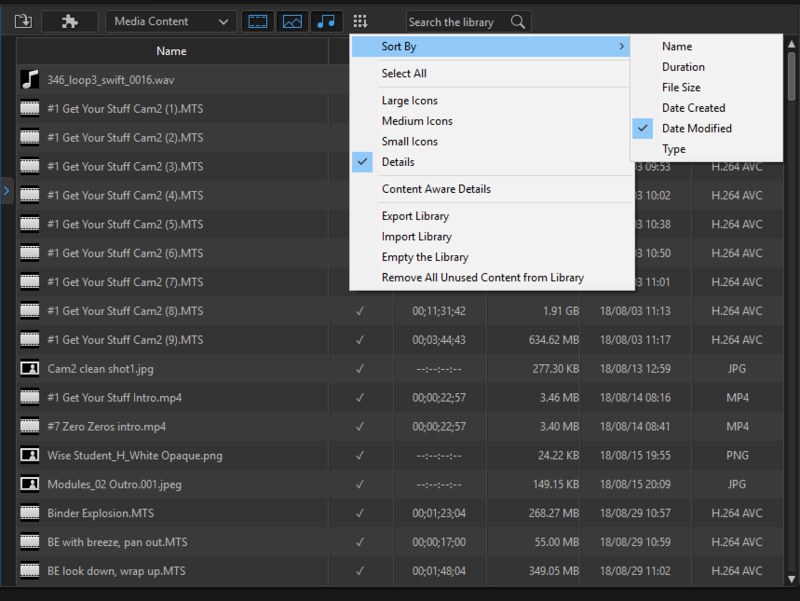 If that's the case, you could set the file order in the Import Media Files window the way you want it and PD will retain that time order as the files are sequentially added. I'm not sure why PD15 would be different, but stranger things have happened. That option is not in my PD15. There is a workaround posted in PD News Issue 7 that can help. See this post: https://forum.cyberlink.com/forum/posts/list/64141.page . Quote That option is not in my PD15. There is a workaround posted in PD News Issue 7 that can help. See this post: https://forum.cyberlink.com/forum/posts/list/64141.page . Aplogise for the delay for some reason the replies went into my spam folder. Tomas is right PD 15 doesn't have the "modified/created" drop down menu. May upgrade just for that option alone. Great thanks fot the answer, as I've got the same problem!